Rotary is well known world wide for our efforts to support and grow world peace and understanding. In fact Peace and Conflict Resolution is one of our six area's of focus. What better way to support this goal than to have all Rotary Clubs involved in our very own "Rotary Youth Exchange" program. Our young people are our future. Why not invest in them in a most realistic way? 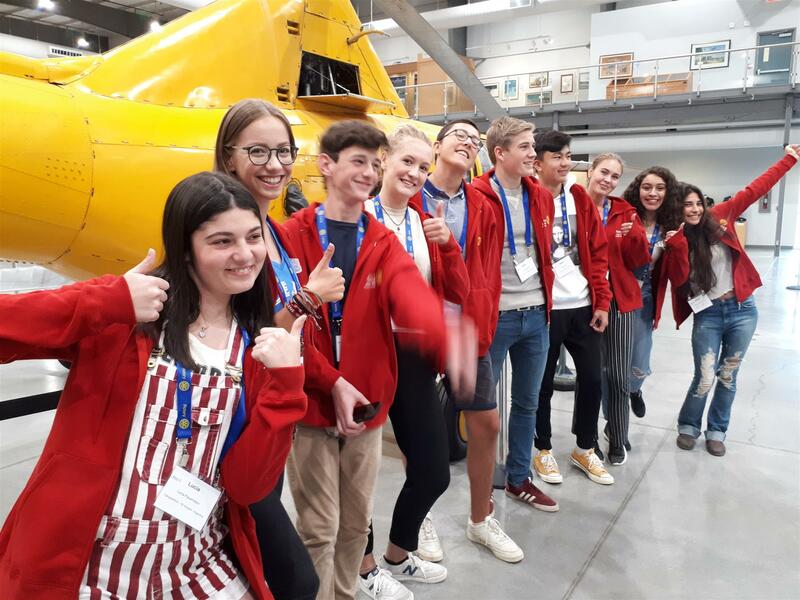 The Rotary Youth Exchange program is the only program sponsored by RI that permits members of a Rotarian's family to participate - no other Rotary sponsored program allows this to happen, primarily due to the perception of being in conflict of interest or nepotism. 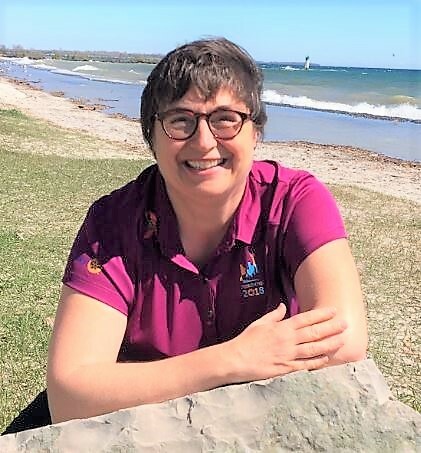 District Governor Mary Lou Harrison's November 2018 Newsletter - We Are Changemakers! Creating positive and lasting change is not easy. It takes vision, determination, co-operation, and the willingness to take risks, to stretch well beyond what we know we can do to accomplish what others might consider the impossible. In District 7070, we can proudly and truthfully say that our actions make us changemakers. Rotary International President K.R. 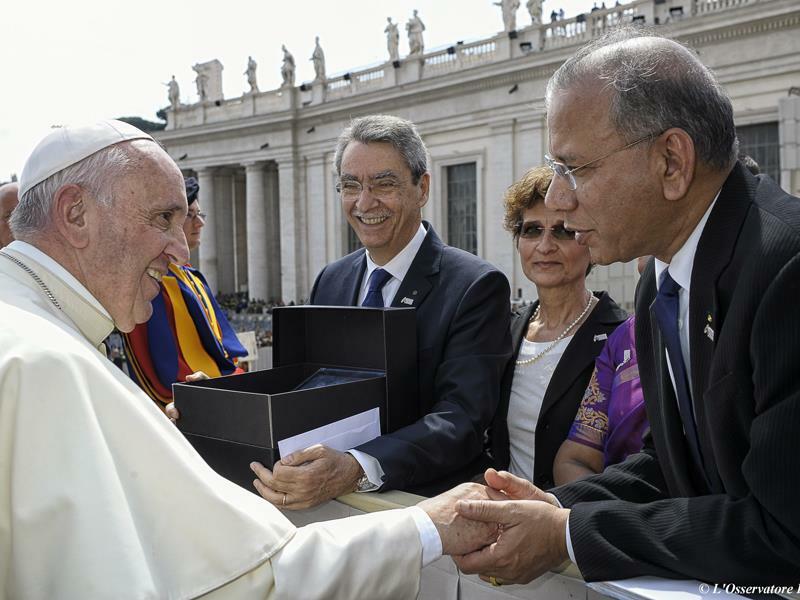 Ravindran is greeted by Pope Francis following the Jubilee Audience at the Vatican in St. Peter’s Square on April 30, 2016. Photo courtesy of the Vatican. District 7070 is buzzing with energy as we prepare to Rev Up Rotary in 2016-2017. As a District, we're getting Rev'ed Up about RYLA (Rotary Youth Leadership Awards). Our program, "Leadership Begins With Me" is scheduled May 15 to 20 at Loyalist College in Belleville. It’s a big world out there! And it takes special people with special talent to thrive, grow and contribute to making it a better world. I always knew there were challenges, and sometimes I felt overwhelmed. I mean, I’m doing OK, my friends are great, and I’m learning a lot in school and at work. But until I got to RYLA, I never knew how much I could learn in just one week. Yes, it was a hectic week, long hours, and a lot of activity – but I really was involved, and the time flew! The hardest part of the whole experience is to sum it up in just a few words. 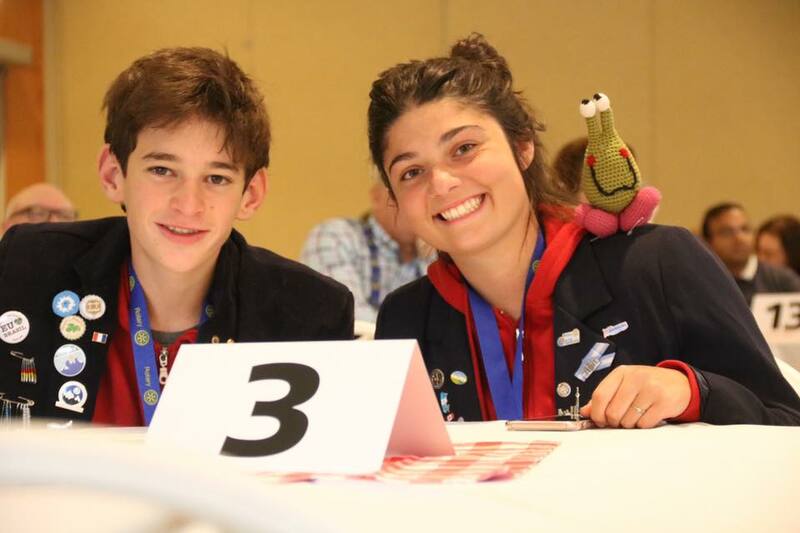 I mean, we dealt with ideas, impossible problems, learned the perspective of our classmates and our faculty members, produced a newspaper, put on entertainment for visiting Rotarians, did volunteer work – and had fun every step of the way. The bottom line though is that I feel more confident, connected and committed to my future and my role in building a better world. Do you? As part of the 2014 Zone Institute, the Rotary Club of Toronto is delighted to welcome Ravi Ravindran as our guest speaker for our October 17th lunch. Have you signed up your club for the 2014 Rotary Trump AIDS Poker Walks in Belleville or Toronto? Mark your calendar for Saturday, April 26th! Rotary 7070 Mobile Business Directory Launched! For a limited time, you can list your business for $10 in the newly-launched Rotary 7070 Mobile Business Directory. 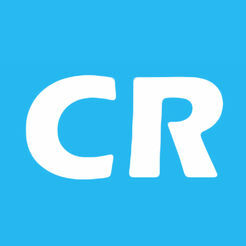 Click here to check out the directory and add your business today! 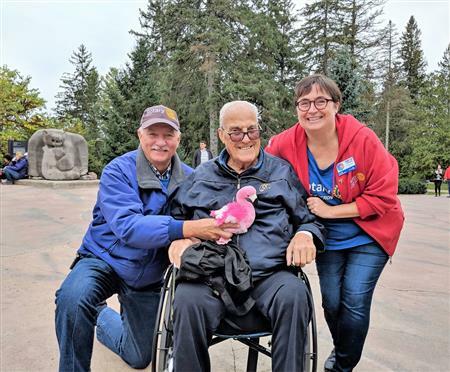 Rotary E-Club Trillium Lakes is a new way to belong! Are you a Rotarian or former Rotarian in District 7070 or beyond? Are you looking for a new way to participate in Rotary? 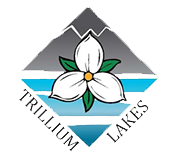 The provisional Rotary E-Club Trillium Lakes might be the place for you! Online Credit Card Payment Option Now Available For District Events! A new addition to our our website will be the ability to register for events online and if a payment is necessary, you'll be able do it via a secure payment processing option with a credit card (Visa or Mastercard only at this time)! This article appeared in the Globe and Mail September 28, 2012 concerning the eradication of polio by 2018 if all goes well. 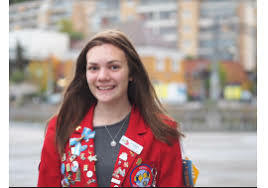 Bill Gates' efforts were the main feature of the fund raising part of the article but it included reference to Rotary International, Wilf Wilkinson and even the Gov't of Canada matching funds raised for this program in Canada. Thank you to everyone who has given feedback about the new District website! Keep your comments, questions and ideas coming. Our highest priority now is to ensure that all clubs have turned on data integration with Rotary International. 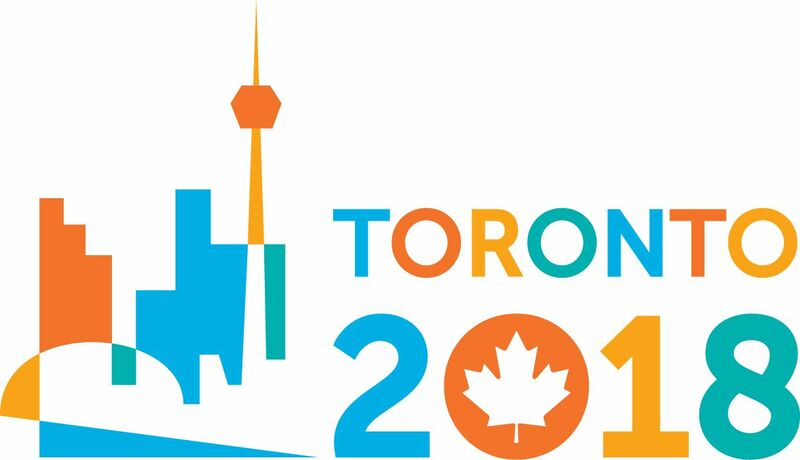 The Rotary Club of Toronto (“RCT”) is celebrating its 100th anniversary this year, and of course this also marks 100 years of Rotary in the Province of Ontario. The celebrations for this momentous landmark were officially launched in July of 2012 and will continue through to June 2013. ClubRunner Launched in District 7070 – Your Input Needed! As members of the ClubRunner Implementation Team for District 7070, we are very excited to launch our new District 7070 website! The new site is still a work in progress, and we look forward to your input in order to improve the site and to keep its content fresh and engaging. 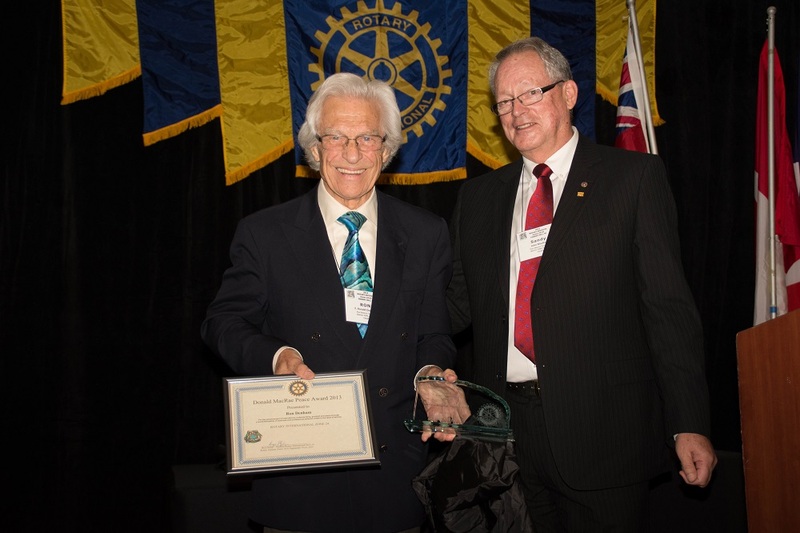 Congratulations to the Rotary Club of Toronto Skyline! There's a new club in District 7070. The Rotary Club of Toronto Skyline was officially chartered by Rotary International on April 19, 2012. They meet every Tuesday at 6:30 p.m. at The Office Pub, 117 John Street in Toronto. Check it out! A fun yet serious message about World Toilet Day - November 19th, recognized by the UN. Recitation by Past District Governor Valarie Wafer; poem written by Coleen Wafer. The Rotary Clubs of Brampton Flower City Centennial, Parkdale-High Park, Toronto Eglinton, and Toronto Sunrise held their Annual Golf Classic on Thursday August 15, 2013 at the beautiful Royal Ontario Golf Club and raised over $12,500 for Rotary projects. 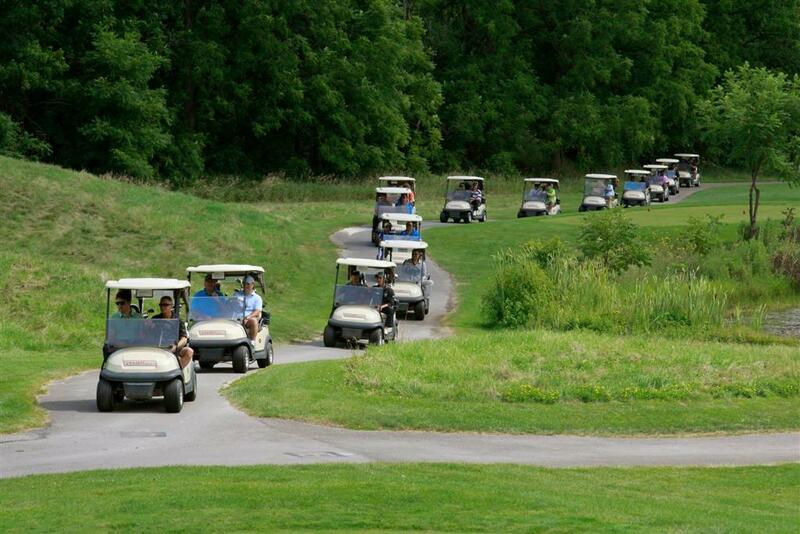 There were 124 Golfers participating, along with 20 volunteers contributing to the success of this collaborative event. Rotary District 7070 is Award-Winning! At the recent Zone Institute in Philadelphia, District 7070 was recognized for a very successful year in 2012-2013 under the leadership of PDG Ted Koziel. Our District was honoured with a number of awards. August is Membership and Extension Month when Rotary Clubs, around the world focus on membership in Rotary. Does your club have a plan? Are you executing your own plan to invite your friends and business associates to join your Rotary Club? Take a look at the video at what our Rotary International President Ron Burton has to say about Rotary membership. RI President Burton’s Membership Message from Rotary International on Vimeo. I am very pleased to announce that after several months of negotiations between the Canadian government and senior Canadian Rotary leaders, the Canadian government has agreed to match Canadian Rotarian and Canadian Rotary Club donations to Polio through the Rotary Foundation. I would like to thank all Rotarians who took the time to contact their respective members of parliament to expedite this matter. The match from the Canadian government is 1:1 but the other exciting news is that the Gates Foundation will also match 1:1 on the Rotarian donations to make it a 3:1 donation on behalf of Canadian Rotarians. There is a $1 million limit on both the government and Gates donations which I am sure that Canadian Rotarians will have no problem reaching. The match is for donations made between 1 June 2012 and 31 March 2013. What else can we do? Talk about polio! Make the public aware and encourage their donations through Rotary clubs. Attend district information events to share ideas. We must become advocates to finally end this dreaded disease. We also have an opportunity this year to honour Trustee Chair Wilf Wilkinson. Each year Districts are encouraged to donate at least 20% of their DDF towards polio. Many do this and I thank you. It would truly be an honour for Wilf if ALL Canadian districts were able to donate at least 20% of their DDF or more. What a statement of support for our own senior Rotary leader! These DDF donations will be matched in the 3:1 campaign. Over the coming weeks you will be contacted by your RRFC and End Polio Now Coordinator. Please allow them to work with your districts as we take this initiative to every Canadian Rotarian. Thank you and good luck. Please share all of your success stories with me! http://webtv.un.org/search/ban-ki-moon-our-commitment-to-the-next-generation:-the-legacy-of-a-polio-free-world/1864699123001?term=polioin case you were not able to view the broadcast that was shown live on Sept 27, 2012 . On Sept 27, 2012, the UN Secretary-General is hosting a high-level event from 12:30-1:30pm (Eastern)/5:30-6:30 GMT highlighting progress and challenges in the effort to achieve global eradication of polio. It will include statements of global solidarity from both polio affected countries and new and longstanding champions for polio and announcements of new commitments to support polio eradication. Speakers include UN Secretary-General Ban Ki-moon, Mr. Wilfrid J. Wilkinson (Rotary Foundation), President Hamid Karzai (Afghanistan), President Good luck Jonathan (Nigeria), President Asif Ali Zardari (Pakistan), Prime Minister Julia Gillard (Australia), Mr. Bill Gates (Bill & Melinda Gates Foundation), Secretary Kathleen Sebelius (USA), Koichiro Gemba (Japan), Julian Fantino (Canada), Rt. Hon. Alan Duncan (UK), Dr. Ahmad Mohamed AliAl-Madani (Islamic Development Bank), , Sandro Rosell i Filiu (FC Barcelona), Ms. Aseefa Bhutto Zardari (Pakistan), Tony Lake (UNICEF), and Dr. Margaret Chan (WHO). The moderator will be Senator Timothy E. Wirth, President of the UN Foundation. Rotary will announce new funding of US$75million over three years.